Formalin fixation and paraffin embedding (FFPE) is routinely used for tissue preservation. However, it leads to DNA fragmentation and mutation artifacts, which are exacerbated by variability of FFPE processing protocols. 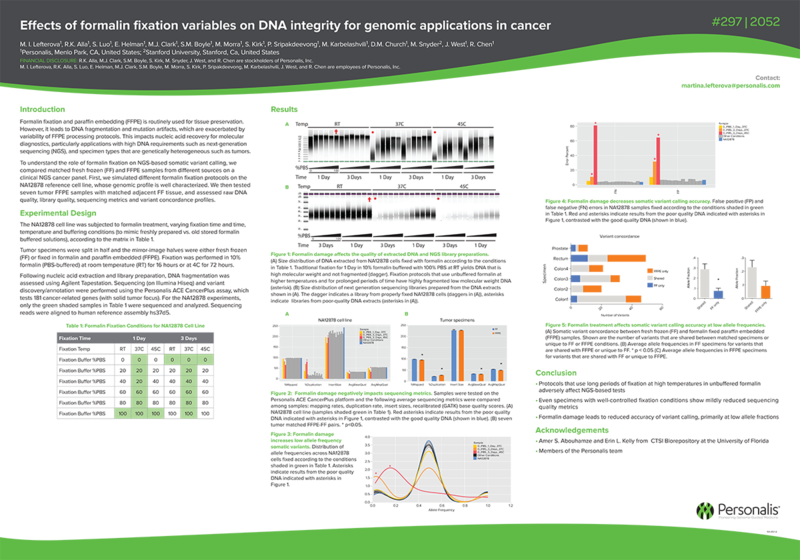 This impacts nucleic acid recovery for molecular diagnostics, particularly applications with high DNA requirements such as next-generation sequencing (NGS), and specimen types that are genetically heterogeneous such as tumors.